Nanice Ellis: Is Ayahuasca Mother Nature’s ‘Red Pill’? Out Of Mind » FEEL GOOD ~ BODY & MIND » CANNABIS & NATURES MEDICINALS » Nanice Ellis: Is Ayahuasca Mother Nature’s ‘Red Pill’? 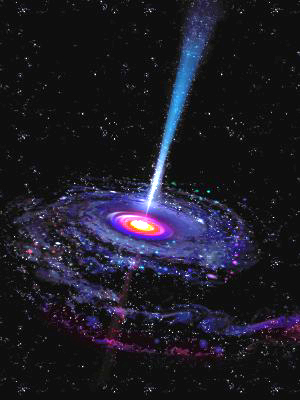 I am going to tell you the truth about my own spiritual awakening, but first you must know that I have been on the path for enlightenment since I was twelve years old. Over the course of many decades, I read all the books, tried all the practices, and even traveled around the world in the quest for spiritual awakening. From time to time, I thought I had found it, but one way or another, I was blindly mistaken. As I was still lost and very much asleep, I became desperate to find answers. I heard about this strange plant medicine that grows in the Amazon that has the ability to exponentially raise consciousness – facilitating healing and awakening. Because I was willing to do anything in order to heal the issues in my life and to finally wake up, in 2009, I traveled to the Amazonian Jungle in Peru and I drank the mysterious tea of Ayahuasca. Through a series of journeys with this sacred medicine, over the course of a few years, I healed all my issues, resolved all my fears and broke through all my limitations – ultimately I woke up. It wasn’t easy, by any means, and it required more courage than I even knew I had, but Ayahuasca provided the experiential answers I had been seeking for an entire lifetime. Ayahuasca stripped away all that was not me, and what remained was my real self, and a connection to the Divine that has filled me from the inside out, ever since. Ayahuasca delivered me to extraordinary heights of profound awareness and transformed how I see the world. 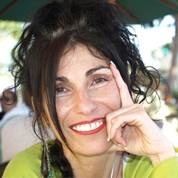 Aya showed me how to live my life from the awakened state as Conscious Creator and how to teach others to do the same. Much of what I know, teach and write about today is a result of Aya and the knowledge, wisdom and insight I received during sacred ceremonies. As I prepared for my first journey in 2009, I quickly discovered that there was tremendous mystery around Ayahuasca, and although I did everything I could to prepare, I was completely unprepared for the experience, or for how the experience would change me and the way I live my life. With the intention of helping others prepare for Ayahuasca and integrate Ayahuasca, I wrote the book, “Out of the Jungle” – the Beginners Guide to Ayahuasca, and I also share this article with you now. It is my intention to take the mystery out of Ayahuasca and to provide down-to-earth information for those considering this sacred medicine. Before we go on, I want to add, Ayahuasca is not for everyone, and I rarely suggest it to my friends or clients, unless they bring it up, or I sense they are ready. 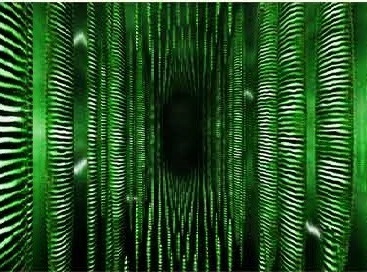 Ayahuasca is very much like the “red pill” in the Matrix – but far more potent and life-changing. So anyone considering this plant based medicine must be emotionally and spiritually ready, but even if you are ready, it will still rock your world. 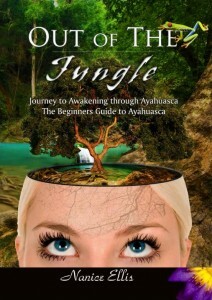 Out Of The Jungle – The Beginners Guide To Ayahuasca is available here on Amazon and Nanice.com/6/Books. Nanice is the author of several books, including the inspirational [url=http://www.amazon.com/gp/search?ie=UTF8&camp=1789&creative=9325&index=aps&keywords=Nanice Ellis Infinite Power you&linkcode=ur2&tag=spir02-20&linkId=B2ABNXK5CRVKKMRS]The Infinite Power of You! [/url] and Even Gandhi Got Hungry and Buddha Got Mad! She is also the host of radio show Chai with Nanice. Her books are available at: Nanice.com/6/Books and [url=http://www.amazon.com/s/?_encoding=UTF8&camp=1789&creative=9325&field-author=Nanice ellis&linkcode=ur2&search-alias=digital-text&sort=relevancerank&tag=spir02-20&linkId=PULELB3Z7YXME6BN]here on Amazon[/url].